The lawyers at Breakstone, White & Gluck have over 100 years combined experience representing injured roofers and workers in Massachusetts. Companies have a responsibility to properly train roofers before they get up on ladders, houses and buildings. Once workers are up there, companies must provide proper fall protection and follow safety standards set by the Occupational Safety and Health Administration (OSHA). But this does not always happen. 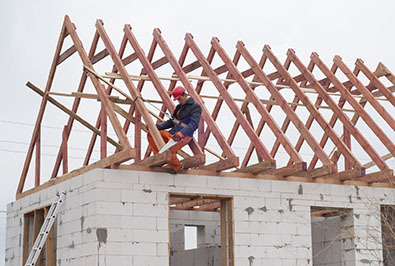 Roofing accidents and other falls are the leading cause of death in the building industry, according to the Occupational Safety and Health Administration (OSHA). In 2014, falls accounted for 40 percent of construction-related deaths, according to the Bureau of Labor Statistics. In 2017, we negotiated a $4.35 million settlement for a worker who fell off the top of a cooling tower as a result of a defective railing. The cooling tower had been installed with an OSHA-compliant steel railing, but the owner of the cooling tower allowed the railing to completely deteriorate. Parts of the railing were held together with electrical tape and a radiator hose clamp. Most of the fittings were cracked. The railing had obviously been neglected for many years. Our firm was retained shortly after the worker’s 30-foot fall. Investigation was immediately undertaken with an expert witness, and the numerous defects were documented. Read more about this rooftop fall case. In the Boston area, OSHA has fined numerous companies for failure to provide workers with fall protection. ● Fall from a House Roof. In February 2017, a 52-year-old roofer fell to his death in Duxbury. The roofer was working on a house near Powder Point Bridge. ● Fall from a Commercial Building. In May 2017, a woman fell through a skylight and landed two stories below onto a concrete floor. Media outlets later reported she worked for Costa Roofing in Milford, which had been cited by OSHA in 2016 for failing to provide fall protection to employees working in Weymouth. ● Roofing Company Failed to Correct Violation. In 2016, OSHA fined Roof Kings LLC of Dorchester $124,000 for “willful, serious, repeat violations” by repeatedly exposing employees to falls over 45 feet down. On February 17, 2016, OSHA inspectors investigated a complaint that workers were on top of a Haverhill church without fall protection. Inspectors informed the site supervisor to make corrections, but no action was taken and the workers continued the job despite the hazards. ● Roof Falls in Snow Storms. Boston saw a record snowfall during the winter of 2015. At least two men lost their lives on top of snow-covered roofs, in separate accidents in Canton. In one case, a worker fell through a warehouse skylight on Will Drive. He had been up there surveying snow removal, according to media reports. Another worker fell from a roof at Draper Knitting Company at 28 Draper Lane. What Should You Do After a Roofing Accident? If a loved one has been injured or killed in a roofing fall or accident, you should immediately contact a Boston construction accident lawyer to learn your rights and start an investigation. If you are the one injured in a roofing accident, your employer's workers' compensation insurance will provide some assistance. But you also have the right to speak to a Boston construction accident lawyer and learn your rights about pursuing additional compensation. The owner of the property where you were working, the general contractor and your employer may all be liable for additional damages. For a free legal consultation, contact our Boston construction accident lawyers at 800-379-1244 or 617-723-7676 or use our contact form.